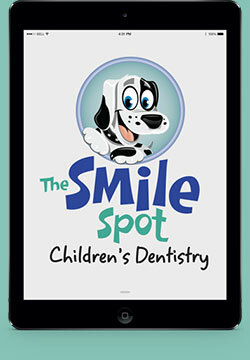 The Smile Spot is your child’s dental and orthodontic home—all in one place! When you become part of the Smile Spot family, you’re getting the expert care and compassion we’re known for as well as the added benefit of not having to visit another provider for any orthodontic treatments. 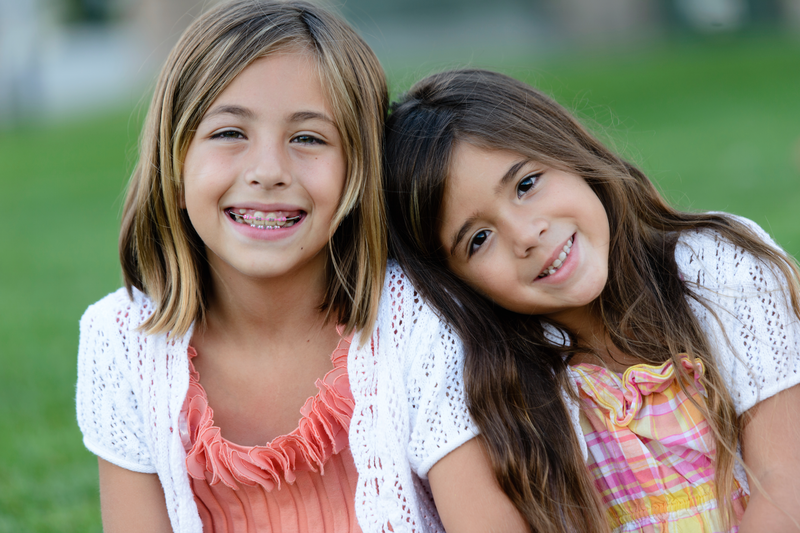 We offer comprehensive orthodontics for kids of all ages. No matter what brings you to us, you can always count on us to provide our services with the signature Smile Spot gentle, fun, and friendly touch. We have the latest technological advances, including digital imaging and cutting-edge computer graphics, to ensure that your child gets the best care possible. Our team is particularly excited about our 3M™ True Definition Scanner, which allows us to take digital scans. 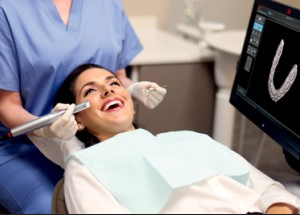 Instead of fussy impressions, the 3M Scanner gives us clear images that help us prepare for an orthodontic treatment. This invaluable tool works quickly and is gentle on patients, letting us leave a good impression—not a messy one—each and every time. Our insurance-friendly office also offers affordable payment plans to help your child achieve a healthy and beautiful smile. Our team is ready to help you find just the right payment option for your child’s care and your family’s budget! A straighter smile is within reach! Bringing your child in for an orthodontic consultation early on can save you a world of trouble down the line. In fact, the American Association of Orthodontists recommends that children get an orthodontic screening by the time they are 7 years old. When children are young and still have their “baby” teeth, it’s easier to diagnose dental issues and guide the proper growth of the jaw and emerging teeth. When providing a child orthodontic consultation, we look at whether there any issues related to losing baby teeth early or late, trouble chewing or biting, thumb sucking, crowded teeth, and more. At the end of the day, we want to eliminate the possibility of your child having to deal with any extensive orthodontic treatments later in life. At The Smile Spot, we believe in preventing more serious problems from developing down the line, and palatal expanders are a common orthodontic appliance used to do just that. A device specifically for young children with crowding or crossbites, palatal expanders can correct dental issues that may require surgery if not fixed before adulthood and can save you and your child a whole lot of stress and money in the long-run. Besides being a way for the “tooth fairy” to leave money for your kids, baby teeth actually serve a very practical purpose: functioning as a guide for where permanent teeth should come in. Sometimes when a baby tooth is lost too early or is extracted due to some other circumstance, the new tooth can erupt in the wrong position or nearby teeth can shift into that tooth’s designated space. Custom-made space maintainers, which literally “maintain” or save the empty space until the permanent tooth develops, can stop these problems from happening from the get go. Contact us to schedule an orthodontic consultation. Many orthodontic treatments for teenagers start between the ages of 12 and 16. Why? Because that’s when most permanent teeth have grown in and the underlying bone and jaw structure have formed, allowing for detection of anything that needs fixing, such as gaps or crowding. More than just for appearance, correcting crooked or misaligned teeth can also set your teen up for future dental care success as it promotes healthy cleaning habits, helps with proper chewing, and even reduces the chance of developing gum disease. We understand that confidence and self-esteem play a huge role in the everyday life of a teenager, and we want to help our teen patients get a smile they’ll be proud to show off. There’s no reason for kids to suffer with severely crooked teeth when we can provide braces for any major shifting or straightening required. And with improvements in modern dentistry, braces are both more comfortable and less noticeable than ever! Today’s braces have thinner and more durable wires as well as smaller brackets for less irritation. In addition to metal and color bands, we can even fit braces with clear bands to make them less noticeable. Braces are a tried-and-true method for dramatically straighter teeth! Does your child need to straighten his or her teeth but flinches at the thought of noticeable, uncomfortable-looking metal braces? Invisalign® could be just the answer! A great teeth-straightening alternative, Invisalign uses custom, clear plastic aligners to gradually shift teeth. As an added plus, Invisalign trays are completely removable, so teens don’t have to limit themselves with what they can or can’t eat (traditionally tricky snacks like popcorn and all their other favorite foods are a go!). Best of all, Invisalign’s nearly invisible appearance means kids can be confident in their smile without having to worry about how they look while the aligners get to work. Visit our practice to discuss your orthodontic options.